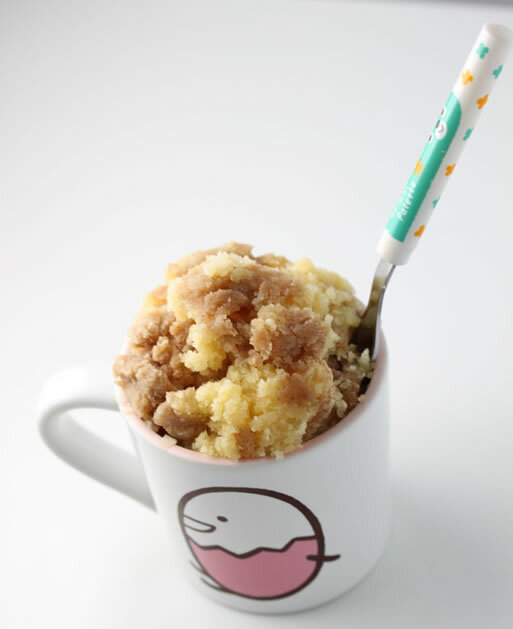 This is an actual single serving of Coffee Cake In A Mug!! !﻿ I believe it originated from a blogger named Jaime who was not overly fond of chocolate but wanted a sweet treat. It is like playing with an Easy Bake Oven again. This garland just appeals to me. It is different torn pieces of Halloween fabric knotted on a rope. 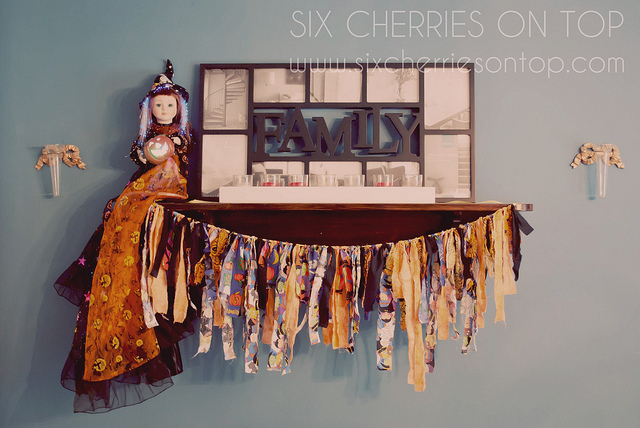 This is from a site called Six Cherries On Top. The blog author gives directions on her blog. It is really fun and easy to do…no scissors required!!! That is my fix for cute for today. That is very cute! You need to check out the cookbook Cutie Pies. 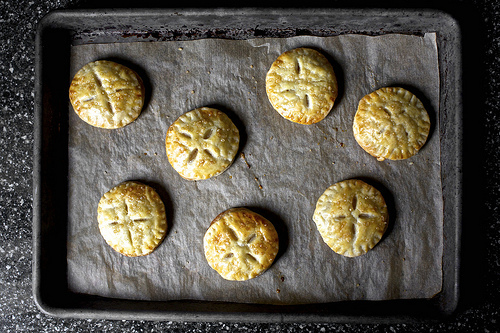 Oh, they're all very cute…apple pie cookies are calling to me! 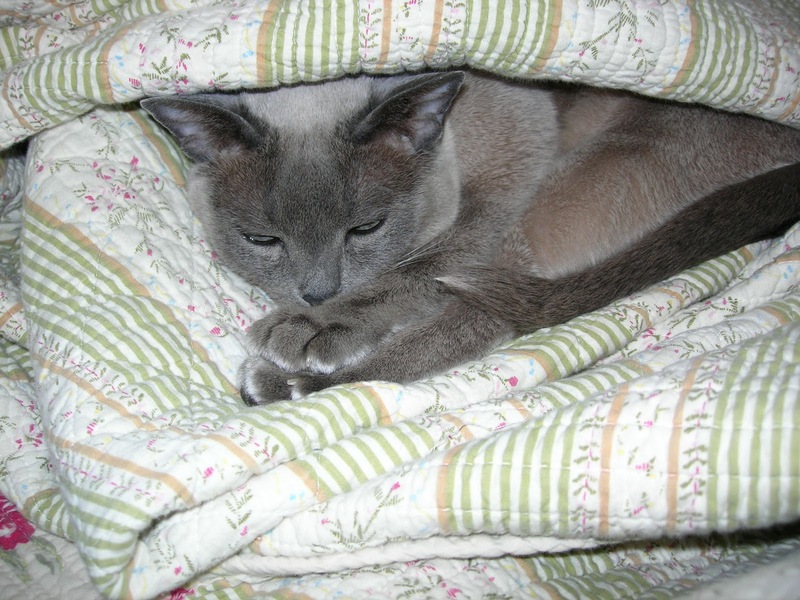 And I love the kitty in the quilts! Cutie. I respond to cute too. I'm a sucker for cute really. I think you should enlarge the super cute photo of Lucy, and frame it! Classic! Way too cute…she knows a good thing when she sees it! You're not lost at all, it's just that we're not supposed to post the recipe for the French Fidays with Dorie Club. Thanks for visiting my blog. Adorable kitty you have! Thanks, Lora…I will find that book!!! I've got to try the garland and the apple cookies. Both adorable – and one yummy! Thanks for the ideas.